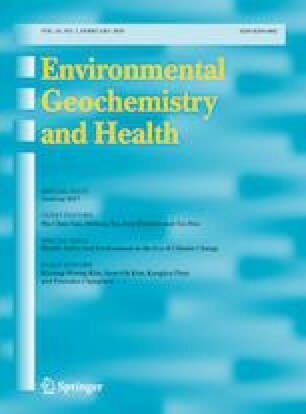 The aim of this study was to investigate and determine fluoride concentrations in drinking water supplies in rural areas of Maku and Poldasht in West Azerbaijan Province, the northwest of Iran. Fluorosis risk assessment and characterization was also investigated. Fluoride concentrations mapping was accomplished by using the GIS system. Totally, 356 water samples, including one sample in each season, were collected from 89 water supplies providing water for 95 and 61 rural areas of Maku and Poldasht, respectively. According to the results, in Maku and Poldasht, 25 and 30 rural areas had contaminated water sources, respectively. Average annual fluoride concentrations ranged from 3.04 to 7.31 mg/l in the contaminated villages of Maku, which is about 2–4.8 times higher than the maximum standard level of the Iranian drinking water standard, and 4.52–8.21 mg/l in the contaminated areas of Poldasht, which is about 3–5.47 times higher than the maximum standard level. The maximum fluoride level was determined 11.12 mg/l and 10.98 mg/l in one of villages of Maku and Poldasht Counties in summer, respectively. Neither in Maku nor in Poldasht, water resources showed dental cavity risk, while dental fluorosis risk and skeletal fluorosis risk were very significant in some villages of both cities. Children were at most risk of fluorosis. New alternative water supplies for the contaminated villages if possible, consumption of bottled water and application of reverse osmosis are recommended as remedial actions in the contaminated areas. The online version of this article ( https://doi.org/10.1007/s10653-019-00282-x) contains supplementary material, which is available to authorized users. The authors wish to thank the West Azerbaijan Rural Water and Wastewater Company for bankrolling the research, as well as all members of the research team and others who participated in this study.